In January of this year, I had a missed miscarriage and a D&C. (Read my story here.) This month, we started the process of trying to conceive after miscarriage. After I had my miscarriage, I was very passionate about not letting other women suffer through the aftermath of their loss alone. 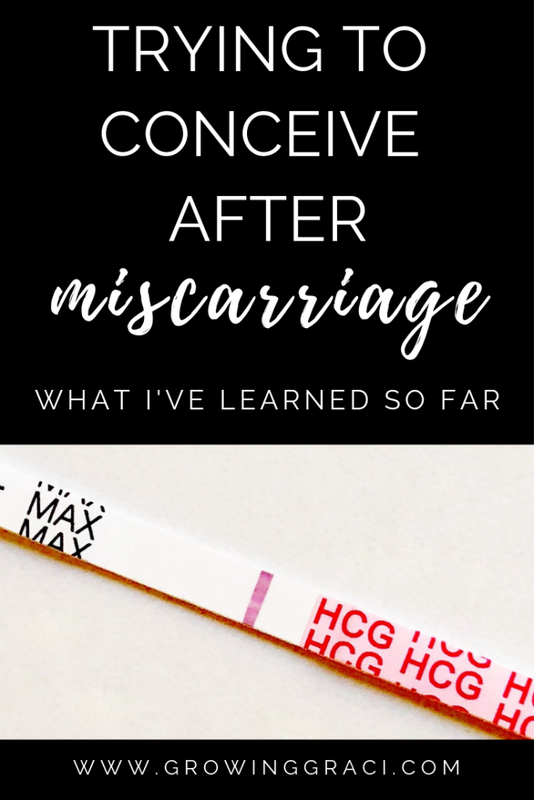 With that in mind, I’m hoping that these things that I’ve learned while trying to conceive after miscarriage will help someone else not feel alone. This blog post is not intended as medical advice. Please consult your medical team for any and all questions regarding miscarriage or trying to conceive. One of the most surprising parts of recovering from my miscarriage was that we didn’t have to wait long to try again. In fact, our doctor told us to wait until my cycle returned, then we could start trying again. I couldn’t believe that my body go through such an experience and then bounce back that quickly. It’s not surprising that with this quick body healing that my mind was lagging behind. As the day of my first ovulation post cycle approached, I could feel myself getting anxious about trying again. I had to really be patient with myself as we started to get back into the swing of trying to conceive. My husband and I both had rollercoaster emotions about the idea of trying to conceive again. On the one hand, we desperately wanted to have another baby and we were excited about the idea of welcoming another little baby to our family. And on the other hand, we were so fearful of going through the heartbreak again. There were days where I honestly wasn’t sure that I’d ever be open to the idea of trying again. Oh man. 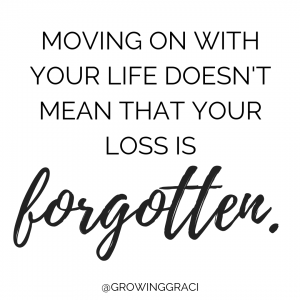 I have dealt with a LOT of feelings of guilt in my post-miscarriage journey. (Read all about it here.) But when we started seriously thinking about another baby after our loss, a whole new feeling of guilt cropped up. Was I forgetting my lost babe by being so eager to try to conceive again? Was I somehow not honoring their life by trying to bring another baby into the world? I lost my baby. That’s a fact that I would do anything to change. However, I can’t change it. Will I EVER forget about the baby that I wish every single day was with me? Nope. I’d be willing to bet that this loss has changed me forever and that I will always, always, always remember my baby that could have been. 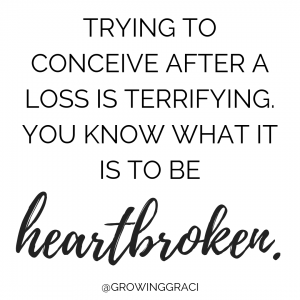 When we first started trying to conceive after our miscarriage, I was admittedly super wrapped up in my own feelings and all the stuff happening with my body. Sometimes, I forgot to see how my husband was handling everything. I’ve talked about it on my Instagram feed before (link), but I think society as a whole tends to forget that our partners have gone through the miscarriage, too. The miscarriage may have happened in my body, but my husband lost his baby, too. Since our miscarriage, I’ve really tried to make a conscious effort to check in with my husband about his emotional well-being. And as we started trying to conceive, it was super important to keep this line of communication open. Prior to our miscarriage, I had never successfully tracked my ovulation. When we headed to the doctor for the first appointment for our baby that we lost, they said the baby was measuring a little small. Unfortunately, since I had no idea when I ovulated, it was hard to tell whether the baby was small because there was something wrong, or because I had simply ovulated later in my cycle than most. Going forward, I never want to have a situation where I don’t have the information to give my doctors the best chance of knowing what is going on with my baby. 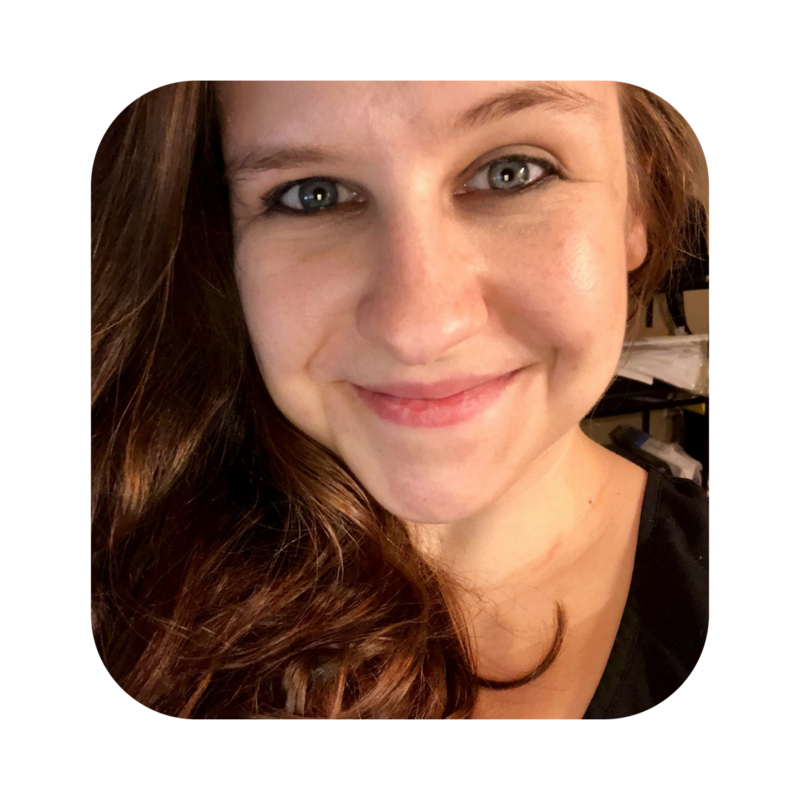 So, I’ve been tracking my ovulation and using fertility apps to make sure that I have a log to share. 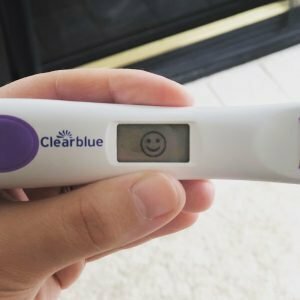 I was sent the Clearblue Connected Ovulation Test System for free to review, and I really enjoyed it. It is a digital ovulation test that syncs via Bluetooth with your phone. It makes it a lot easier to interpret your test results. I received this product from Clearblue in exchange for a review. However, all opinions are 100% my own. I really enjoyed the product! If you’re looking for a cheaper option, I also have been using the Easy At Home Ovulation Tests as well! These are standard stick tests that you have to interpret yourself. However, if you think you may be needing to test a lot, this is a great economical choice. As far as apps, I really have enjoyed Glow and Ovia! I use both right now to make sure I get as accurate information as possible. Finding a way to honor our baby daily was a very important step in my healing process. 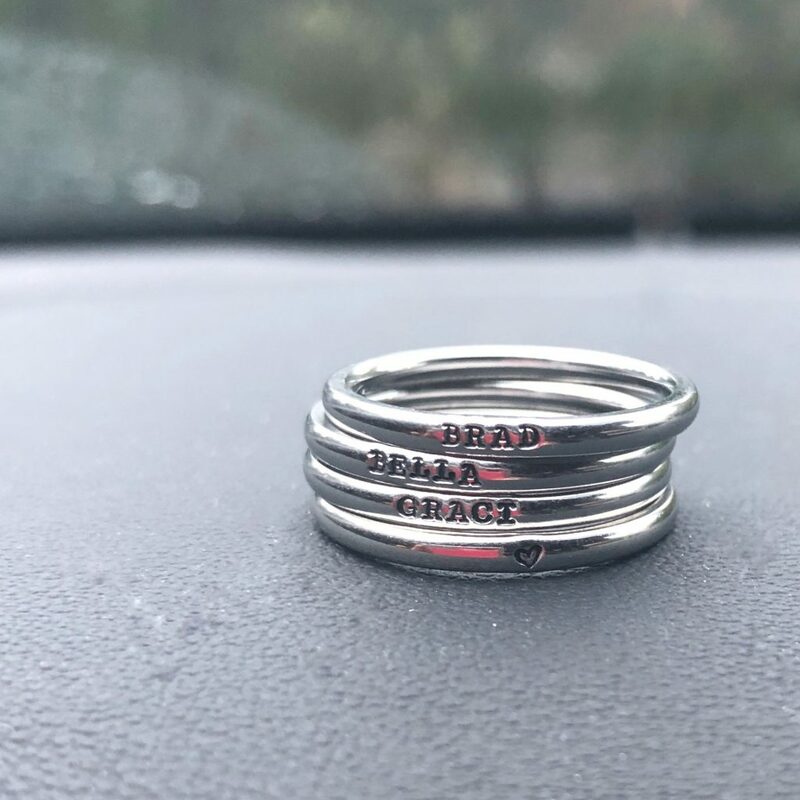 My amazing friend, Christina, at My Hero Creations made me a beautiful necklace and ring that both represent our lost babe. Since these are little pieces of jewelry that I can wear all the time, they help me feel like I have a way of honoring our baby 24/7. 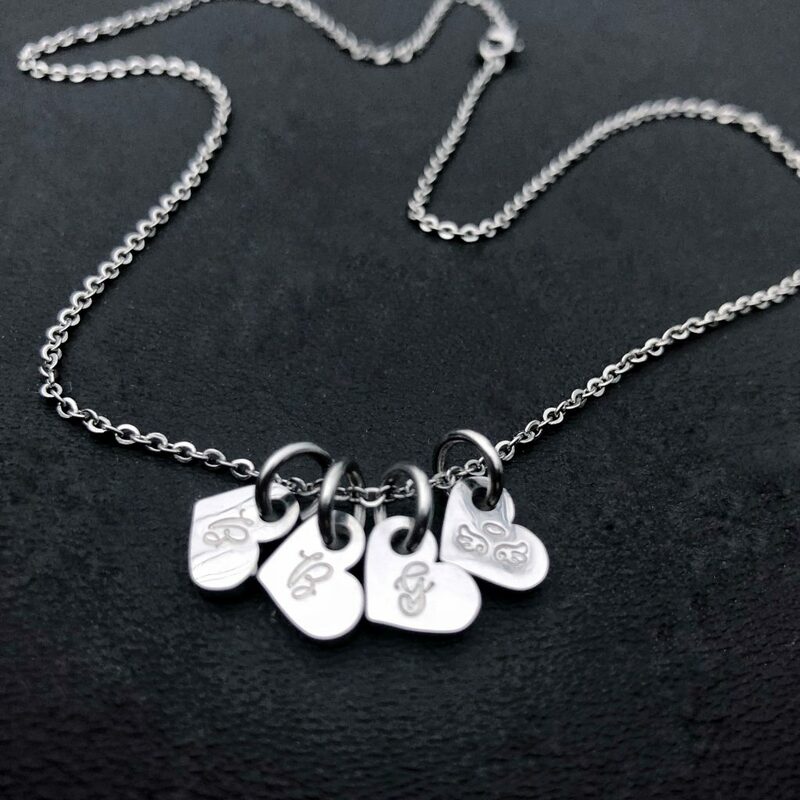 Just being able to look down at my heart ring or touch my necklace with the angel wings made me feel a little closer to my lost baby. There was something comforting about honoring our baby in a tangible way. Oh man, this one is hard. Trying to conceive after miscarriage means accepting that you could lose another child. Besides feeling heartbroken over the child you’ve lost, this is the worst feeling post-miscarriage. You truly don’t know what might happen if you try again. For us, we felt like our plan had always been to have another child, and our fear over losing another baby to miscarriage wasn’t as strong as our wish for another child. This is one of the situations that is SO personal to the couple. You have to truly weigh your fear with your wish for a baby. Keep in mind that just because your fear wins out right now, it might not stay that way as time passes by. In the early days after our miscarriage, I truly wasn’t sure I’d ever be willing to go through the uncertainty again. This one is sort of related to the whole idea that you have to accept that another miscarriage could happen and decide if the chance of having a healthy baby is worth that risk. 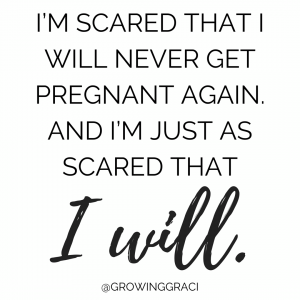 Since we’ve been trying to conceive I have often felt anxiety at the thought of being pregnant again and worrying every single day about the health of my growing baby. But at the same time, I also have anxiety when I think that I may never have another child. 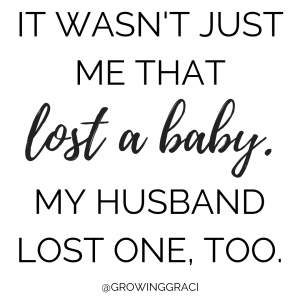 This is just one of those things that I think people who have experienced a miscarriage understand 100% and those who haven’t might be confused by. Finally, I learned that pregnancy for me will never, ever look the same as it did before our miscarriage. Now, unfortunately, I know what it is like to live through loss. During any pregnancy that I might experience from here on out, I will be worried, anxious and watching for any signs that something is wrong this time, too. There will never be a day that goes by where I’m not worried about my growing baby. The thing is, before our miscarriage, I worried through most of my pregnancy with Graci. And I even had a bad feeling during the pregnancy that ended in miscarriage. 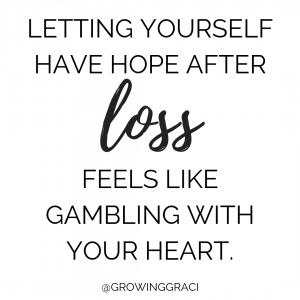 However, I was so good at reassuring myself that the chances of me having a miscarriage were super low, that I never let myself truly believe something was wrong. Now, I feel like there will never be enough reassuring in the world to make me not worry. But on the flip side, though all the heartbreak I’ve endured, I know now that I’m strong. If you are going through a miscarriage or have gone through one in the past, I’m sending so much love to you. Hopefully this post helps someone out there not feel so alone!